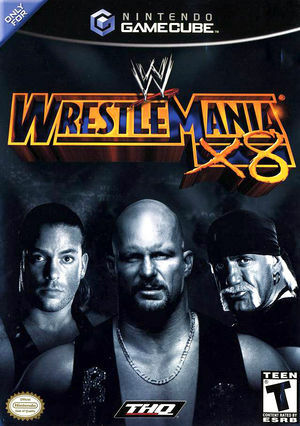 In WWE WrestleMania X8 legendary battles and intense drama are packed into one event--WrestleMania, where the baddest men on the planet meet to become champions of wrestling. An updated 2002 roster features superstars and newcomers Rob Van Dam, Booker T, The Hurricane, and nWo members Scott Hall, Kevin Nash, and Hulk Hogan. Master each superstar's unique wrestling style and turn the tide of the match through a combination of counters, reversals, and brutal finishing moves. Now you can start from the beginning and take your rookie wrestler up through the ranks in quest for the Heavyweight Championship Belt. The graph below charts the compatibility with WWE WrestleMania X8 since Dolphin's 2.0 release, listing revisions only where a compatibility change occurred. This page was last edited on 16 January 2018, at 08:36.